The Forza Horizon series is back this year with Forza Horizon 4. This time around, Playground Games decided it was time to bring the franchise to their doorstep by creating their own little version of Britain, complete with iconic landmarks, familiar landscapes, and four distinct seasons that showcase the United Kingdoms year-round beauty. Along for the ride are over 400 vehicles to purchase or unlock, a massive soundtrack, and that fun, arcade-style racing you’ve come to expect from the Horizon series. With rumours abound that this might be the last Forza Horizon game for the immediate future, it’s clear that Playground Games wanted to make sure this game was a true crowning achievement. Spoiler alert: it is. 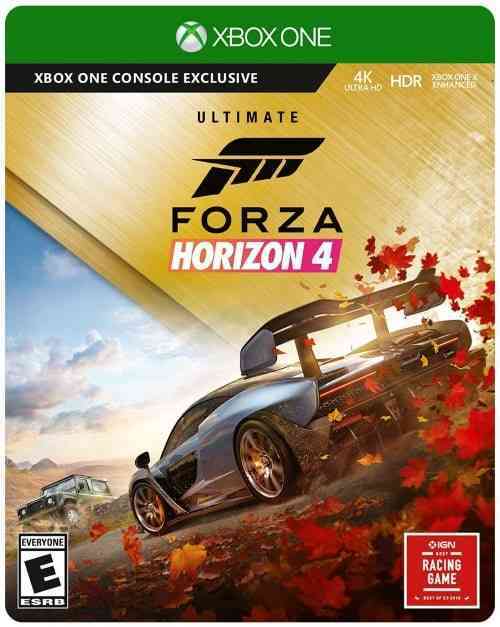 Forza Horizon 4 welcomes both franchise fans and newcomers with open arms – this is a racing game that anyone can pick up and play this game without any previous knowledge of past Forza games. 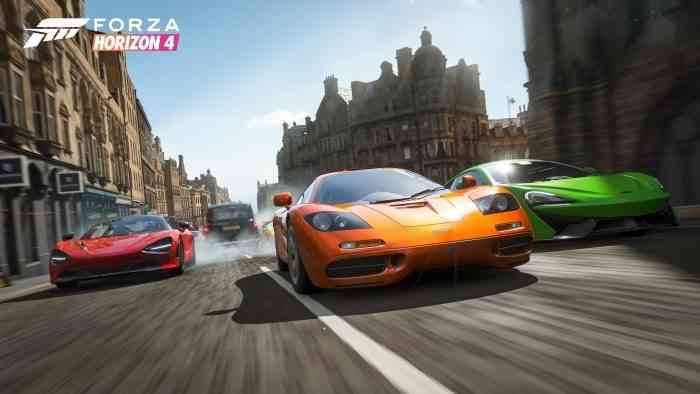 Sure, there are a couple references to past games in the dialogue and some familiar racing modes – but the developers have ensured that beginners will be able to comfortably settle in – including many difficulty settings to tweak to accommodate any gamer. Forza Horizon 4 begins with a brief introduction sequence that allows you to race through the games newest addition to the series; seasons. For the first time ever, the game will rotate through the four seasons at predetermined intervals. After the brief introduction, you’ll enter the first phase of the game – earning your spot on the Horizon tour. To accomplish this, you’ll complete races to unlock a Showcase – an epic one vs one battle pitting you against some massive vehicles. Showcases are epic – such as the first one that pits you against a massive hovercraft that’s easily three times your vehicles size. During this phase, you’ll also cycle through each season quickly – to really get a feel for how different seasons will affect gameplay. Once all four Showcases have been completed, you’re officially entered into the Horizon tour and the second phase begins. It’s worth noting that there is a fifth Showcase in Forza Horizon 4 – and while I’ve noticed some other media outlets have spoiled it for their readers, I refuse to do that to you here. All I’ll say is that it’s a fantastic take on another game franchise. Once you’re in the second phase of the game, and officially on the Horizon tour, you’ll be placed into the same season as everyone else. Each season allows you to participate in most of the games various events, but there are some season specific events that you’ll need to complete during that season. Seasons rotate every week – which is a fantastic way to keep this game constantly feeling fresh. The different seasons bring unique elements to this game world. Autumn brings rain, puddles and mud whereas winter will freeze water areas, including a massive lake, opening up previously inaccessible areas. Of course, the real question is, what exactly do you do when all the Showcases are completed? The answer is Horizon Life. Horizon Life is a collection of over 25 different campaigns that requires “influence” to level up. Completing associated events earns influence – much like how you earned “fans” in Forza Horizon 3. 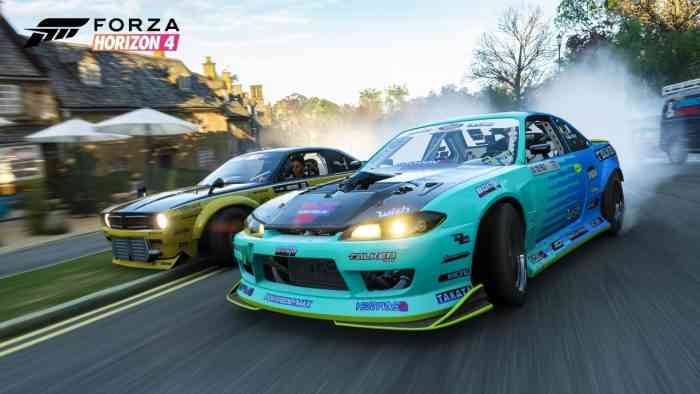 There are four racing campaigns included, such as Street Scene racing and Cross Country racing, but there are also campaigns connected to the various creative aspects of Forza Horizon, such as designing liveries for vehicles or completing Stunt Jumps. There’s even a Mixer campaign that will net you influence just by broadcasting your gameplay. Of course, being a franchise, you’ll definitely notice some repetition in events – if you’ve played previous Forza Horizon games, there’s definitely a lot of similarities here. For each of the four racing campaigns, once you’ve completed enough events, you’ll gain access to a final event that really pushes your skills – such as the Gauntlet or the Titan. New to the Horizon franchise is the “Horizon Stories” campaigns which are unique, self-contained stories separate from the Horizon tour. The first Horizon Story is the Stunt Driver story, where you work with a director to capture stunts for an upcoming movie. 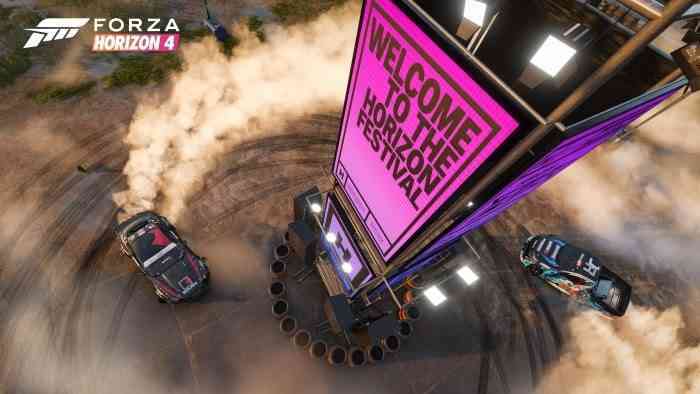 The Horizon Stories are fun little deviations from the standard racing and I enjoyed participating in them. Unfortunately, it looks like the Bucket List challenges from past Forza Horizon games didn’t make the cut. Another new aspect to the game is your in-game character – and while you’ve been able to select your name and gender in the past, this time around, you’ll have a selection of about 20 different in-game characters to choose from. Before and after every event, your character is there on display for your opponents to see – so to keep things fresh, you’ll get to play dress-up with your character and choose a “showboating” emote and “victory” emote. I was disappointed with the selection of in-game characters – not one character looked remotely close to me. It would be nice if they gave us more to choose from and maybe some customization options such as hair colour, hair style, facial hair, and character sizes. It seems odd that I’d be wanting more options for in-game characters in a racing game, but since they’re showcased so much, more choice should be given. 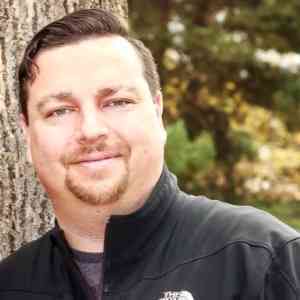 Fortunately, the selection of names to choose from is quite vast – I was able to find my name and all three of my son’s names. Unfortunately, my wife’s name was not present, so she would need to opt for one of the many “nicknames” provided. Forza Horizon 4 provides some excellent multiplayer options to choose from – far more than any previous Forza Horizon game. At any time, you can begin a convoy (think: party) with your friends or strangers – and as host, you’ll choose which events to participate in. Choosing co-op events, your score is combined with your convoy, so even if you don’t win the race, your team might still win if they have more points. Or you can choose the PvP option where you’ll compete against your convoy in events. If you have a convoy of up to six player, you can partake in the brand new Team Adventure mode. Team Adventure let’s you compete, as a team, in a series of either races, party games, or a mix of both. Team Adventure is also Forza Horizon 4’s “ranked” league, where you and your team will move up the ranks with the hope of becoming Grandmaster. The Team Adventure ranks only last during predetermined periods of time – and will reset when the next “season” begins (not to be confused with the actual yearly seasons which reset on different schedules). But wait, there’s more! Also new is the #FORZATHON – an event that takes place every hour, on the hour. #FORZATHON challenges racers to work together to accomplish three random tasks within 15 minutes. For example, one task may be accumulating 1500 KPH at a specific Speed Trap – which might require each player to race past the Speed Trap multiple times to accomplish. Forza Horizon 4 is a gorgeous game, but really, when has the Forza Horizon series not been at the forefront of amazing visuals? Xbox One X owners will get two choose between even more stunning graphics or 60 Frames-Per-Second. Honestly, I switched between both graphics modes a couple times and I really didn’t notice much of a difference – in both modes, the game ran smoothly and the visuals were beautiful. If you’re more sensitive to Frames-Per-Second or you have a high-end TV, you might notice the differences – but I assume most gamers, like myself, won’t notice much difference. My only frustration comes from the night driving – and some events, particularly the Street Scene events, require night driving. In truth, I hate night driving in all racing games – since it’s so difficult to see. Forza Horizon 4’s audio is also outstanding – with a diverse cast of characters guiding you through the various Horizon Life campaigns and of course, Anna, your onboard navigator, is back as well. The soundtrack is pretty damn awesome as well – though admittedly I preferred Forza Horizon 3’s soundtrack more. But I think the biggest disappointment is the lack of a “Britain” station featuring all of the UK’s biggest stars – imagine a rock/pop station with Robbie Williams, David Bowie, Queen, and The Beatles, just to name a few – a missed opportunity for sure. Make no mistake about it, for fans of racing games, Forza Horizon 4 is a must-own. It has a massive world map with dozens and dozens of events to choose from. The changing seasons is a clever way of keeping content fresh. 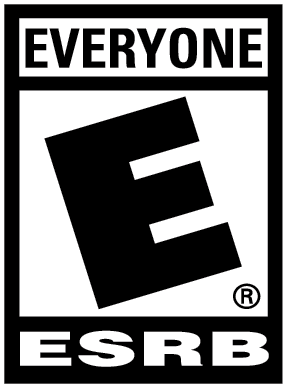 It features a vast multiplayer experience that’s sure to appeal to everyone on your friends list. The one thing I really dig about the Forza Horizon series is that it always has that upbeat feel to it – the cast of characters are always encouraging and warm. You don’t need to win every race and you have a huge selection of difficulty settings to adjust to fit your playstyle. The visuals are stunning and the soundtrack is banging – though I believe they should have included a Britain music station. I’m not a fan of the night driving but that’s more personal preference and if you’ve played previous Horizon games, you’ll notice a lot of familiar race and stunt events. The biggest issue I had with the game was the selection of in-game characters to choose from since they’re so prominent throughout the game – more options and additional customization options would easily resolve that. Pour yourself a spot of tea, butter and jam some crumpets, cozy up by the fireside, and take Forza Horizon 4 for a spin – it’s a bloody good time.